According to BBC News, this is the second time the Kenyan lawyer is deported, and he says that the reason for his deportation is political. In this video taken at Jomo Kenyatta International Airport, Miguna Miguna, who is the opposition figure in Kenya, is being forced to leave the country against his will. 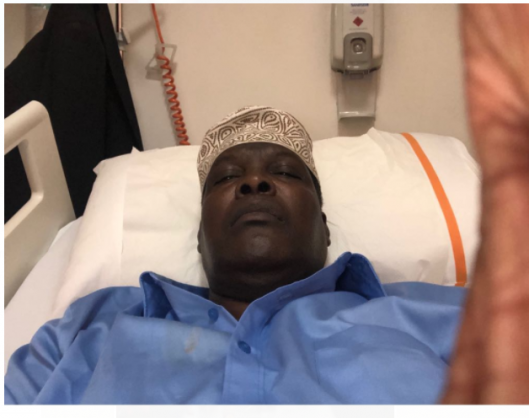 “First of all, I don’t have a passport, secondly I didn’t book your plane, and thirdly I have no status in Dubai, so I am not going to go to Dubai,” Miguna told the United Arab Emirates official. According to BBC News, this is the second time the Kenyan lawyer is deported, and he says the reason for his deportation is political.